To some, mathematics is an abstract subject - one that involves the entire suite of Greek symbols and a string of mathematical operators appearing almost all at once. And then there are those with extraordinary number sense - people whose brains are wired such that finding the fifth root of the product of the first twenty-nine Fibonacci numbers correct to four significant numbers is a walk in the park. Finally, there's the team behind think! Mathematics - a bunch of ordinary mortals positioned between the two extremes with a passion for all things mathematical. What is think! Mathematics all about? think! 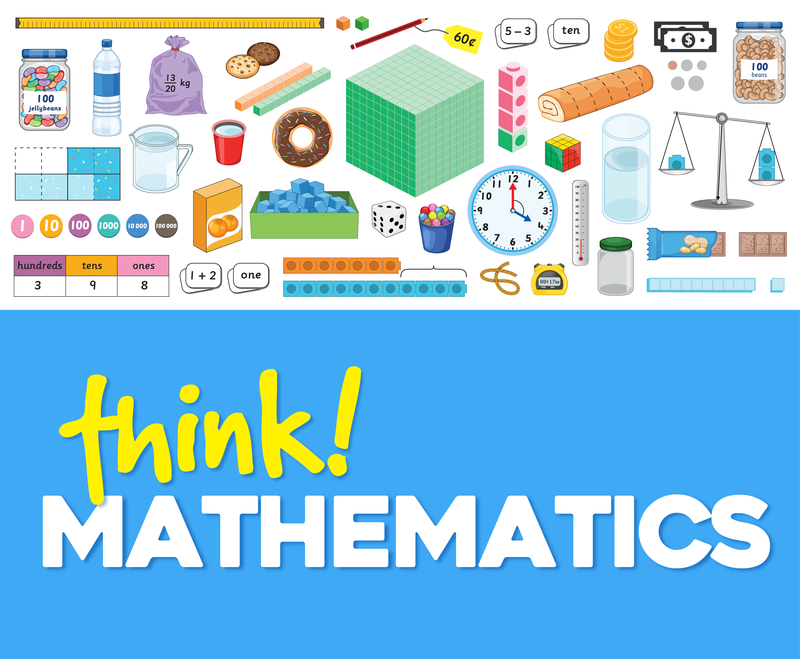 Mathematics is a lesson-based programme that redefines the role of a textbook in the primary mathematics classroom. “The inspiration is really the students and teachers whom I have met over time and around the world,” says Dr Yeap Ban Har, author and consultant of think! Mathematics. “We wanted to develop a programme that is more effective than the typical chapter-based textbook, so the experience of Ban Har adds more than a touch of ingenuity to this series,” quips Peh Shing Woei, CEO. One key feature that distinguishes think! Mathematics from other primary mathematics books is the Anchor Task. Dr Yeap, whose dream is to produce a series of textbooks based on the research he does on teacher learning, advocates the use of Anchor Tasks to “facilitate teachers bringing lessons to life for their students”. Working closely with Dr Yeap, the editorial team behind think! Mathematics recognizes that this series combines the effectiveness of teaching pedagogies and innovative ideas. “The Concrete-Pictorial-Abstract approach facilitates the transition from pictorial to symbolic understanding,” says Elouise Liew, senior editor, citing the systematic mode of teaching developed by American psychologist Jerome Bruner. In conceptualizing the design, experienced designers in the creative team brainstormed how best to layout the edited content. “We incorporated a modern feel to capture the attention of young learners,” adds Rachel Chen, senior graphic designer. The integration of real-life applications of concepts allows mathematics to come alive. Sue Tan, illustrator of the series, shares that it is crucial to create characters that are realistic and able to attract children. What types of tasks can we find in this series? Challenging non-routine tasks are written with careful variation to nurture children’s keen interest in mathematics beyond the usual school curriculum. As we say – begin with basics, think Mathematics.